Here is the principle: We reap what we sow, forgiveness notwithstanding. 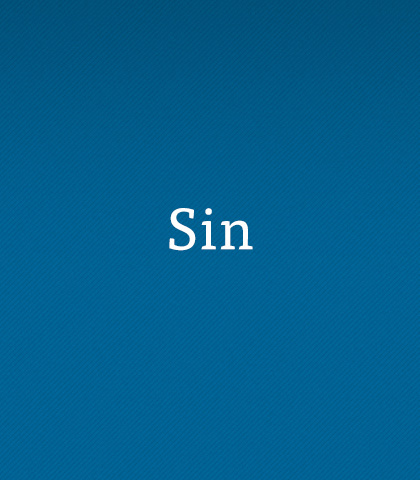 Confessing our sin does not take away the consequences. However, God’s grace means God, in forgiving us, gives us the strength to endure the consequences. Erosion is dangerous because you don’t see it happening when all the while it’s eating away, disintegrating, destroying...slowly, silently, and subtly. Self-denial is not a popular message—it’s seen as outdated and irrelevant. This generation believes instant gratification is no big deal, but it is! It’s a big deal! You do not take up your cross daily unless you know the discipline of patience and waiting for God’s timing. You can’t play games with sin. Left unchecked it can ruin your whole life. It moves in and eats away at our moral fabric. And the longer it stays... the harder it is to get rid of it. Temptation is always present, no matter who you are. It knows no barriers and doesn’t play favourites. When you’re tempted don’t linger; determine in your heart to resist.